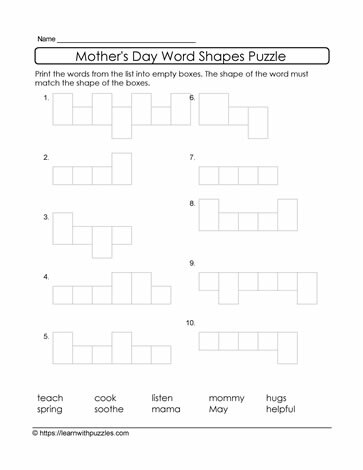 This word shape Mother's Day puzzle makes learning fun. Free, downloadable supports for early learning for reading and writing skills. Consolidates spelling and vocabulary building in primary grade classrooms, home schooling and as tutoring resources.